We’ve had our hands in a variety of compost operations across NYC, from tourist hotspots to small local shops—we support our city’s innovations in organics. 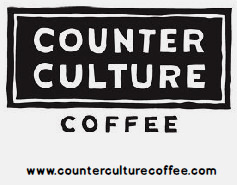 Counter Culture Coffee is an organization of pioneers, all looking to do the right thing, whatever that may be, and we’re right there with them. Counter Culture became our client after a 3-week customized waste audit, where we learned their process and community culture. Since most of their organic waste is coffee related, they didn’t accumulate the amount of organic material needed for a private hauling service. But with their eager and intelligent staff they challenged us to find a solution, allowing Common Ground to get creative with compost. Introducing vermicomposting to their facility, as well as organics collection services processed locally and hauled by bike. 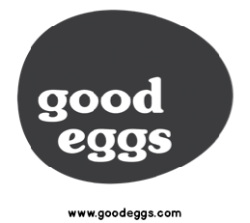 Good Eggs is a local grocery delivery service with a greater mission and interest in food. They came to us with the task of providing compost services at their launch event. We helped educate their team on sustainable practices, coordinated with local haulers, and helped organize and monitor the waste stations on the day of the event. Creating a Zero-Waste Event for their first large party, and paving the way for future events. 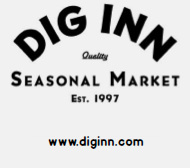 Dig Inn is a seasonal market that cares about quality, so naturally the process of how food grows and where it rots is something they consider. Common Ground worked with Dig Inn to determine if composting at their restaurant locations was a viable option. Performing onsite waste audits to determine what percentage of the waste could be compostable. First, considering ways to minimize edible food waste through donation and other platforms. An audit was also performed at their commissary to help them prepare for a move to a new location and a new hauler contract negotiation. In the end, it was determined that over 50% of Dig Inn’s waste is organic, which is now all being composted. The Batali Bastianich Hospitality Group (BBHG) is an industry leader in sustainability, and that includes composting at all of their NYC locations including Eataly and Del Posto. Common Ground worked with BBHG to do a series of waste audits to help maximize their recycling and compost diversion rates, and to establish baseline weights for material that is collected by their hauler. The audit results were used to support the ongoing waste tracking system BBHG has in place. 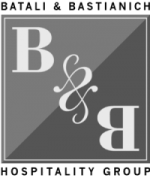 Common Ground also serves as a sounding board providing advice & assistance as needed for BBHG as they look into new waste, recycling, and composting initiatives to improve their footprint. 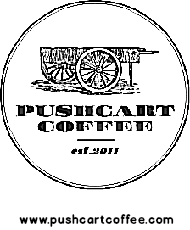 Pushcart knows coffee and understands their customer base; caring about everything they serve. They came to us to gain a better understanding of their footprint on the sustainability scale. Common Ground helped Pushcart evaluate their options, guiding them through the audit process, providing data, and signage tailored to communicate new recycling practices to their staff. We also advised on more sustainable packaging making their compost stream cleaner, and their business greener overall. Compost on your mind? If you’re giving some thought to food scrap recycling in your workplace – start the conversation with us!